I continue to see articles encouraging business leaders to engage all their employees in the selection of company values. But without proper guidelines, I believe this generally leads to a bad outcome. 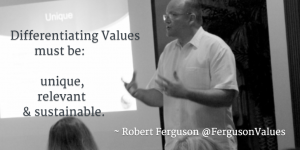 When employees pick the values, they are more likely to buy into them. Following this logic, leaders should also let employees decide every part of the business, including: type of customers; who to hire; the best suppliers; investment strategies; and even pricing, promotional, and distribution strategies. Heck, they should even choose their leaders. Well…. there actually is a business model that encourages this type of thinking. It’s called Holacracy. Holacracy is a new type of business model being explored by numerous start-ups around the concept of self-organization. Example companies often listed include Zappos, Medium, and Buffer, though it appears that Medium and Buffer no longer follow this model. The appeal of holacracy is that it replaces hierarchy, departments, and job descriptions with semi-autonomous teams (or circles). Each team is responsible for a certain set of issues or tasks (called a domain). Teams have the authority to make decisions, within their domain, without seeking approval from a supervisor. As there is no hierarchy, team members report to each other as peers. And a team only needs to communicate with other teams when its own activity impacts others. 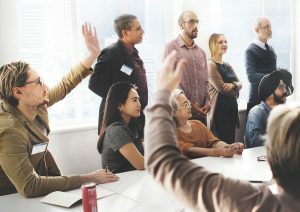 While the model of holacracy may appeal to many workers, the actual experience across numerous companies that have tried this suggests old hierarchical problems are simply replaced with different problems. Attempts to promote equity, empowerment, and efficiency saw people in privileged positions blaming others for not “behaving properly” vs. criticizing the system itself. I believe that a system without leadership poses serious problems. First, let me be clear. 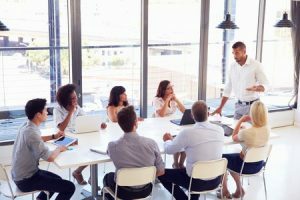 Engaging employees in decision-making and setting strategic direction, including the selection of values, is NOT the problem. 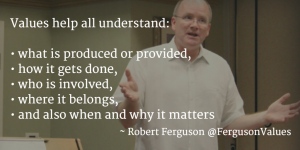 The problem is when ALL employees are engaged. While the intent might be that everyone feels heard, it’s like inviting all your friends and family into the kitchen to decide what to cook and then make it too. Such a chaotic approach is an invitation for disaster. Picking TOO many values, and thereby unable to live by them. 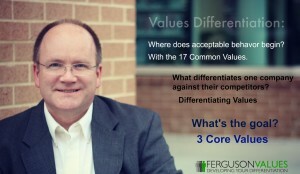 In an attempt to satisfy the needs of all employees, leaders find it difficult to keep the number of values to a minimum (ideally maximum of 3). NOT choosing values that make a difference. The collective wisdom of employees tends to land on values common to every company. While it feels good to claim the values of Integrity, Respect, and Excellence, what’s really needed are differentiating values. 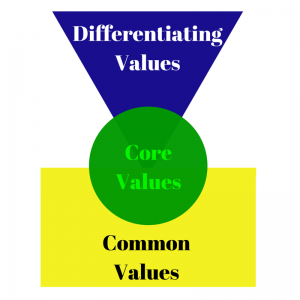 Making values too BROAD or WEAK. In my assessment of values across the Fortune 500, I was surprised to see how broad the definitions were at some companies. In some cases, it felt as if the leaders were trying to include everything (including the kitchen sink) under a single value. As Patrick Lencioni highlights in his book The Advantage, this is a common problem that leads to a lack of clarity and ultimately causing employees to ignore the values because they mean nothing. Of course, the solution to this problem is actually quite simple. 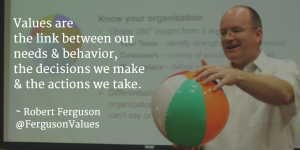 Identifying the right set of values for an organization requires the right people. It’s a culture issue. Effective leaders handpick a small team of people that represent all employees. Smart leaders look for employees who represent the heart of the organization. These are individuals who understand what makes the firm work well, why customers buy, and how it is different from competitors. But this “team” is small, ideally just 6-8 people. 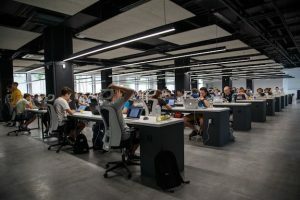 If the team is too big (more than 12) it becomes ineffective and unwieldy to manage, people don’t get heard, and dominant personalities can take control. And if the team is too small (less than 5) it may prove to be ineffective because it’s missing diversity of thought and proper dialogue to flesh out key issues. 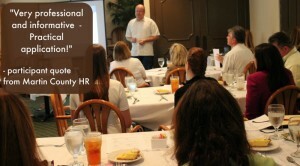 The handpicked team of 6-8 people must work well together AND be respected by the other employees. These individuals are passionate about the mission and vision of the organization, all the while being respectful of differing views. On the one hand, this team won’t hesitate to debate key issues that impact the present and/or future direction of the company. On the other hand, they can respect and support the final decision of the organization’s leaders who ultimately possess the responsibility of delivering results. 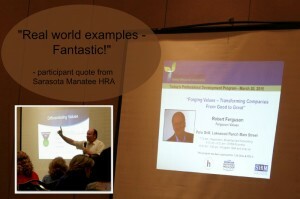 Bottom line: Engaging ALL employees to pick the values of a company is a bad idea. But a small group (6 to 8) of the right people can make the biggest difference that benefits everyone.